Evergreens can be reliable garden friends 12 months of the year, and we have clever ways to use them, both in and out of containers. Don't miss this informative #plantchat to learn about the best ways to grow evergreens in your cold OR warm climate. The American Horticultural Society , Monrovia , and Corona Tools will be sharing their knowledge of Evergreens: In & Out of Containers with you. Prizes awarded during this #plantchat will be a signed copy of Planting in a Post-Wild World , by Thomas Rainer and Claudia West (Timber Press) , and a one-year membership from the American Horticultural Society. 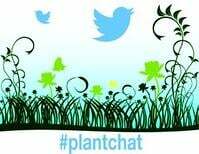 Join @CoronaTools and #plantchat co-partner, American Horticultural Society, Digital Communications Manager, Charlotte Germane, tweeting as @AHS_Gardening,Communications Manager & Associate Editor, Viveka Neveln, tweeting as @VivNevAHS, and special guest Content and PR Manager, Kate Karam of Monrovia, tweeting as @MonroviaPlants on the topic of Evergreens: In & Out of Containers. The live chat begins Monday, October 19, 2015 at 11 a.m. PT / 2 p.m. ET, where we come together with green industry experts and fellow horticultural tweeps each week to discuss all things related to plants and horticulture, since 2014. Best soil for evergreens in containers – The extra ingredient you need to add to potting mix. Use evergreens as groundcovers – Why evergreens make great groundcovers in both Western drought and Eastern Polar Vortex. 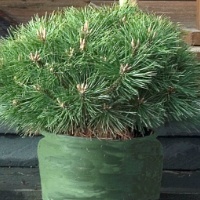 Unusual containers where evergreens shine – The container you‘ve probably not thought of for evergreens. Most dramatic evergreens – Which weeping form evergreens are most effective in your landscape. An evergreen cutting garden – Plant some “sacrifice” evergreens to use in indoor and outdoor arrangements.